12 in.18 in.24 in.36 in.48 in.60 in.72 in. 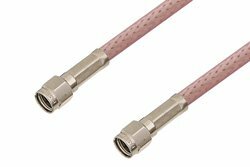 PE34750LF is a reverse polarity SMA male to reverse polarity SMA male cable using RG142 coax. This Pasternack reverse polarity SMA male to reverse polarity SMA male cable assembly uses a 50 Ohm SMA for connector 1 and a 50 Ohm SMA for connector 2. 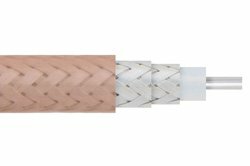 Our reverse polarity male SMA to reverse polarity male SMA cable assembly uses a flexible cable type that is 50 Ohm. 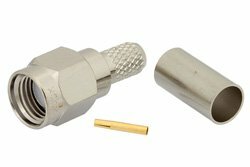 Pasternack PE34750LF SMA reverse polarity male to SMA reverse polarity male cable assembly is constructed with RG142 coax.